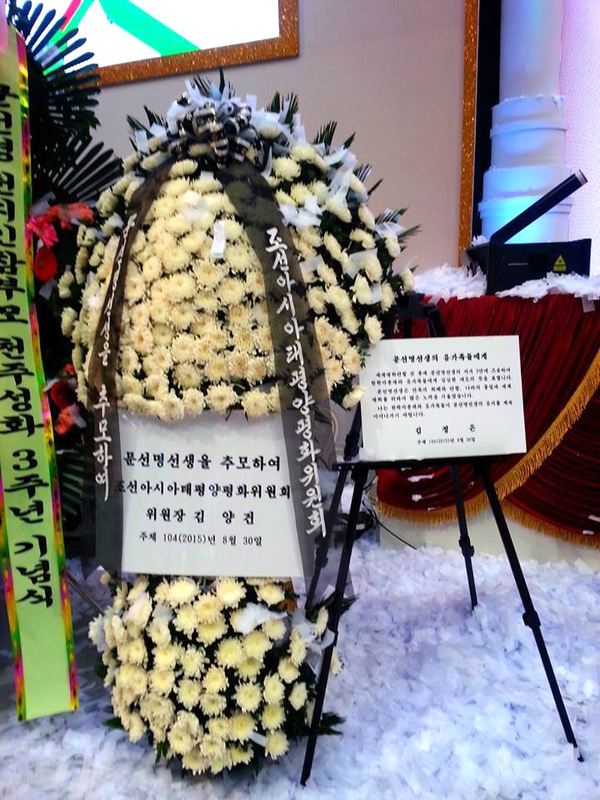 Supreme leader Kim Jong Un sent a message of condolence to the bereaved family members of Moon Sun Myung, former president of the World Peace Federation. 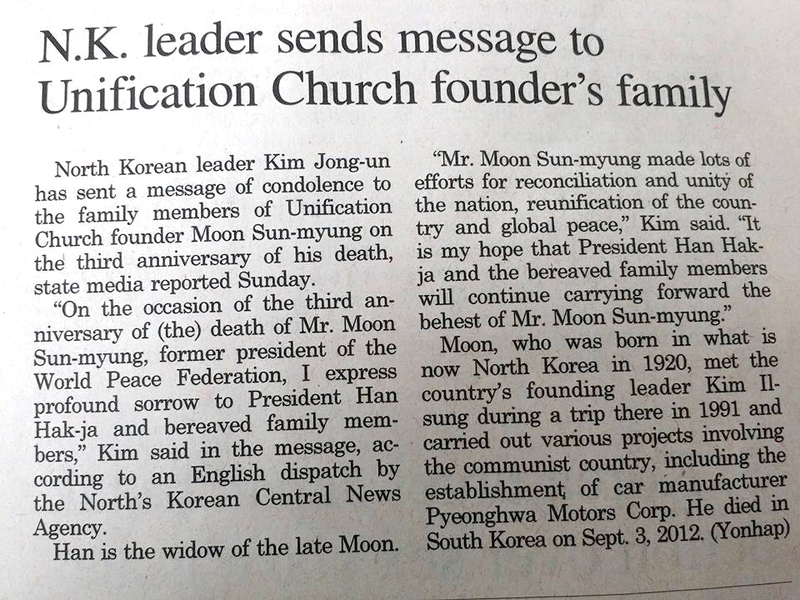 “On the occasion of the third anniversary of death of Mr. Sun Myung Moon, former president of the World Peace Federation, I express profound sorrow to president Hak Ja Han and bereaved family members. Mr. Sun Myung Moon made lots of efforts for reconciliation and unity of the nation, reunification of the country and global peace.